Just saying Happy New Years sounds so obligatory… so insincere. At the same time I really, truly, want to wish you a Happy, prosperous, healthy New Year. So Happy New Year! It’s so exciting to think about investing all that we’ve learned over the past year, and in all of our prior years, into this new year… into 2019. 2019 also marks some changes at The Santa Claus Conservatory. 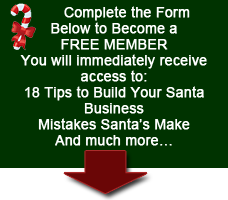 I have changed the membership model from annual to 12 months. So regardless of when you join your membership will run for 12 months. There’s also been a slight increase in the membership fees and I’ve added a brand new Bronze level that’s only $27. 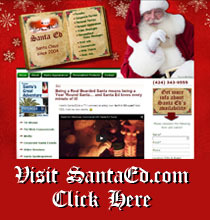 Go to The Santa Claus Conservatory dot com to see what’s included at the various membership levels. Also, renewing members can receive a discount if they renew by January 16th… log in to your membership hub to renew at the discounted rate. This is a strange time of the year for us Santas & Mrs. Clauses… we just wrapped up our season… we’ve had some time to recover and think a bit… we might feel a bit sad to see the season go… at the same time we’re excited about 2019, and if you’re like me, you want to do what you can to make 2019 EVEN BETTER than 2018 or 2017 or any prior years. I love the fact that I shot a commercial in Japan last year. I love that I had a movie that I was in, This Was Our Christmas, come out in 2018. 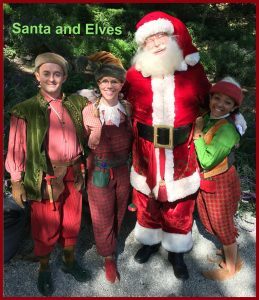 I love that I was able to be Santa for nearly 300 adults with developmental disabilities… and that I spent time with the Homeless at the Midnight Mission on Skid Row in Los Angeles and with very sick children at Children’s Hospital Los Angeles. 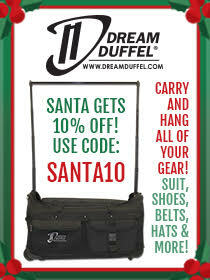 I love that I was doing Santa stuff from July through Christmas. I feel incredibly blessed to have had the the 2018 I had. Do you feel the same way? Would you like 2019 to be even better than in 2018? One way we can all do that is to learn from one another… to help with that I’ll be hosting our “2018 Santa & Mrs. Claus Debrief” session on Thursday, January 3rd. 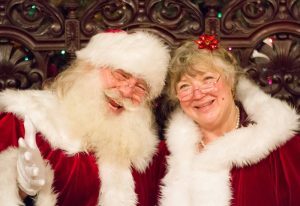 This session is FREE session sponsored by The Santa Claus Conservatory and available to Santas & Mrs. Clauses worldwide. Our 9 Core Sessions will be on Wednesdays this year… the first 3 Wednesday’s of February, March & April. Lastly, I just want to say I’m so happy for you. 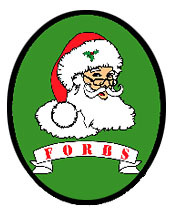 I’ve received over 100 emails, text & facebook messages sharing experiences of being in parades, working in malls & retail outlets, doing home & business parties… and several from Santas who did commercials, TV & movie work. These messages thanked me and the Conservatory… but it’s me that owes you the thanks. I thank you for being a part of this community. I feel so good knowing that so many of you are learning things that are helping you have more fun & have a greater impact as Santas & Mrs. Clauses. I know many of you mentioned The Santa Claus Conservatory in interviews with local & national media… THANK YOU FOR THAT… the Wall Street Journal, VOX & Fox Business all interviewed me about the Conservatory in 2018… as did several local news outlets. Let’s make 2019 even more special. Let’s do all we can do to build, nurture and help keep the SPIRIT of Christmas and the SPIRIT, the thoughtfulness, the generosity, the kindness, the jolliness of Santa & Mrs. Claus alive and flourishing ALL YEAR LONG. God Bless you and all whose lives you touch. Coincidence or The Christmas Spirit? I said I was just going to get some eggs and water and I’d be right back. When I came back his wife was now with him, also in a handicap cart. She reached up for a hug and said how her husband said they would see me again today. Soon the daughter and grandson, the grandson was about 8, joined us. Then they explained how we saw each other in the parking lot last year. I was parking as they were loading their car to leave. Again we talked and took photos. 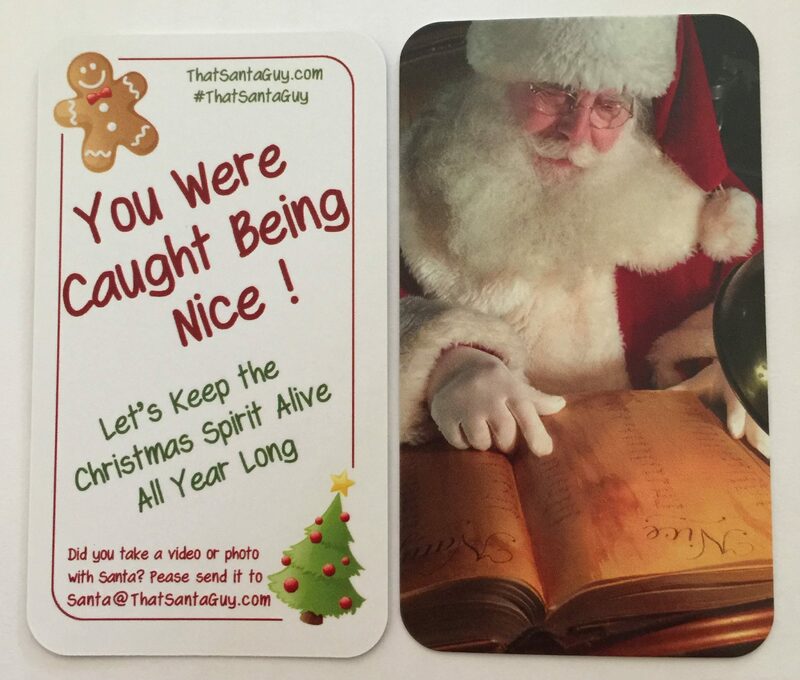 Of course, I had given the grandson one of my “Caught Being Nice” cards on our prior visits, well yesterday he took one to school to show his friends and IT GOT LOST. He was devastated. I SO LOVE doing what I do and being who I have become. First, by blow ‘em away I mean WOW ‘EM!!! Totally impress ‘em. The “‘em” is your audience. 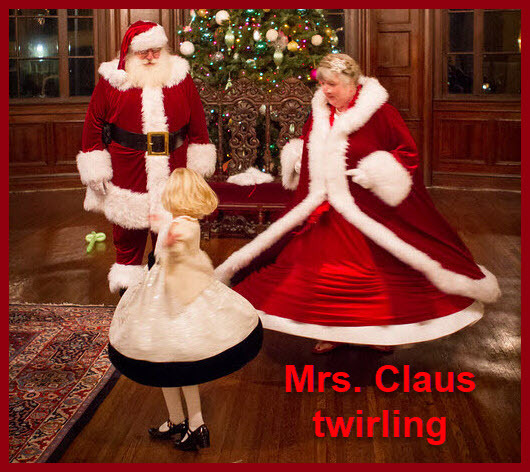 Within The Santa Claus Conservatory, I constantly emphasize the concept of being extraordinary and I strive to provide tips & strategies to help Santas & Mrs. Clauses consistently exceed the expectations of our customers and audiences. Well, here are 3 timely ideas. When it comes to your audience members always remember the power of those little devices that nearly everyone has in their pocket… that’s right a phone! 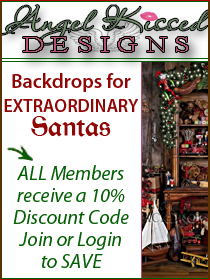 I use my phone to show photos of Mrs. Claus, my elves & reindeer and me at the beach, etc. kids & parents love it! These can be your own photos but they don’t have to be. Santas have told me they use reindeer photos they found online and some have had themselves “photoshopped” in. You can get creative with this. Another terrific use of the phone is to create Santa & or Mrs. Claus videos for children, parents, co-workers, people’s birthdays, etc. 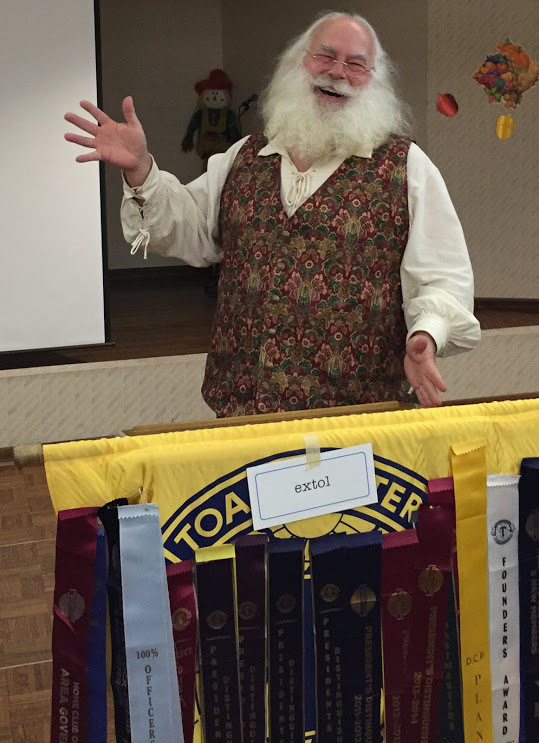 One the reasons I say Toastmasters International is one of the best ‘schools’ for Santas & Mrs. Clauses is because it helps prepare us for those little ‘improv moments’ both in person and when making videos. 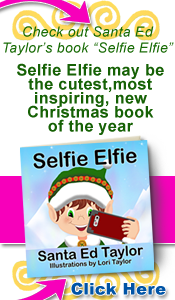 Of course, the traditional ‘selfie’ is also a lot of fun for children of all ages. 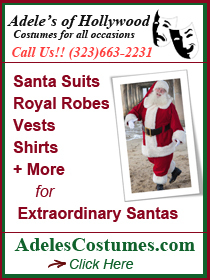 Using your phone, and the phones of the people you are interacting with, to add fun and value to your appearances can help you develop a reputation as an extraordinary Santa or Mrs. Claus. How will we answer questions? 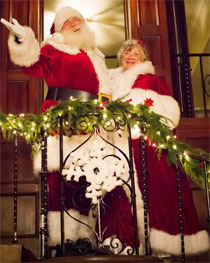 What to expect at new Santa gigs? 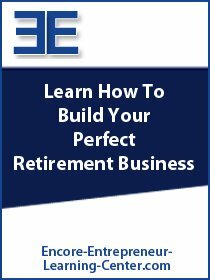 Login at ANY MEMBERSHIP level FREE – Platinum to access this session.